Mt. Zion Baptist Church - Staff - Pastor: Montgomery Portis, Jr.
Pastor Montgomery Portis, Jr. was born on April 11, 1950, in Monroeville, Alabama. He was the first of six children of Montgomery Portis, Sr. (deceased) and Cleo Tucker Portis. Raised in a Christian home, his parents were diligent in teaching their son the importance of knowing God. He accepted Christ at an early age. He also received spiritual guidance from two uncles who are now pastors of churches in Alabama, Pastor Sidney A. Tucker and Pastor John A. Tucker. Pastor Portis attended Selma University, in Selma, Alabama, where he majored in Business Administration, Religious Education/Administration. After eight years in the Air Force, he attended Parkland College in Champaign, Illinois majoring in Correction and Law Enforcement. He was employed by the United States Air Force as a military and civilian employee for over 20 years. Pastor Portis was called to the ministry August 1987 in Mesa, Arizona. He became Associate Minister, Director of Christian Education and Bible Teacher of Progressive Baptist Church and later was instrumental in organizing and pastoring a Baptist Church just prior to his job transfer to Youngstown, Ohio. In March of 1991, Pastor Portis and family became members of the Phillips Memorial Missionary Baptist Church where Pastor J. L. King (deceased) was the Pastor. Pastor Portis served as an associate minister for five years. He was elected and he proudly accepted to be the Pastor of the Phillips Memorial Missionary Baptist Church on February 17, 1996. During his ministry in Youngstown, Ohio, Pastor Portis served for three years as a General Clerk of the Eastern Ohio, Western Pennsylvania, Northern West Virginia Missionary Baptist Church District Association (EOBA); certified instructor of the Congress of Christian Education with the EOBA; certified instructor of the American Baptist College, and the American Baptist Theological Seminary (ABTS). Additionally, he served as an instructor at the Youngstown Unit of ABTS for three years, was a member of the Interdenominational Ministerial Alliance of Youngstown, Ohio, and served as 2nd vice president and 1st vice president for two years. On July 12, 2002, Pastor Portis was elected and proudly accepted to be the pastor of the Mt. Zion Baptist Church, 1012 Adams Street, Mobile, Alabama. During his ministry at Mt. Zion, Pastor Portis served as First Eastern Shore Missionary Baptist Association, Inc. 2nd Vice President of the Congress of Christian Education for 2 years and President for four years. 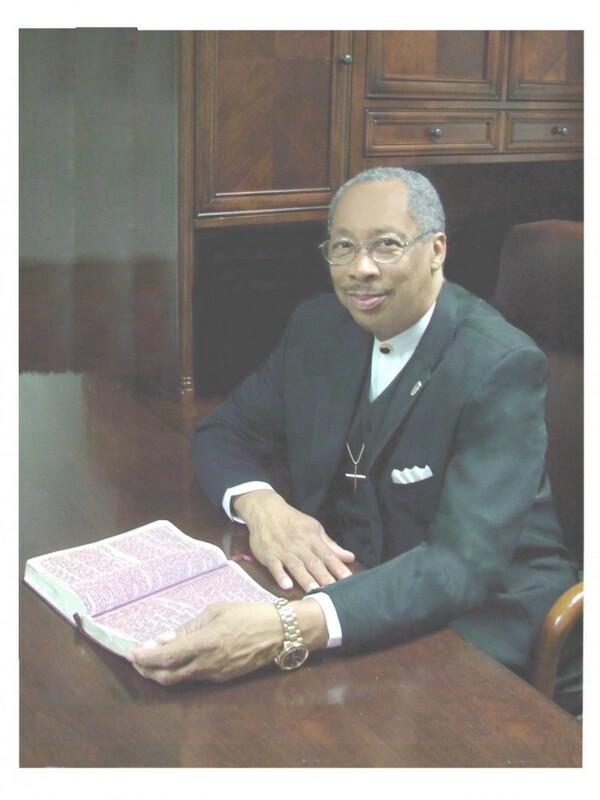 On August 2, 2009, he was elected and currently serves as Moderator for First Eastern Shore Missionary Baptist Association, Inc. Pastor Portis also served as 1st Vice President of the Interdenominational Ministerial Alliance of the Greater Mobile and vicinity for three years and President for one year. Pastor Portis has a wife, Denise and two daughters, Adrienne and Renee. They are blessed with one grandson, Matthew and two granddaughters, Calla Louise and Maya Denise.